Equity Dashboard: Use this dashboard to look at disproportionate impact in course success rates. See the instructions document for details on how to use the dashboard. Fall 2018: As part of inquiry work for Guided Pathways, Merritt College will survey students, faculty and staff. Noel Levitz Student Satisfaction Inventory and Institutional Priorities surveys will be administered. Your participation and input will help assess and improve programs and services for students! Results will be published Spring 2019! 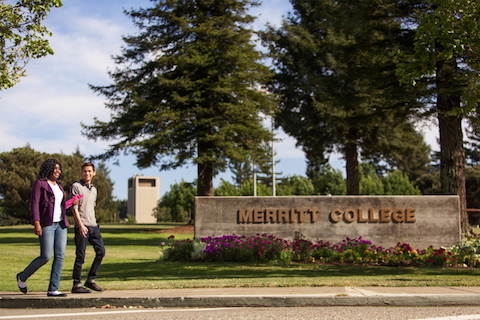 It is the mission of the Office of Institutional Research to provide data, information and analyses to Merritt College in support of institutional decision making, planning and evaluation of services provided to the students and community. Help to foster a college-wide culture of evidence based dialogue and self-reflection. Encourage data-driven decision making and conversations that ultimately improve assessment, institutional effectiveness and student learning. Effectively respond to data and analysis requests from students, faculty, staff and administration. Systematize data reporting and publishing. The Office of Research & Planning supports the practice of evidence-based inquiry and decision-making that contributes to an integrated and continuous improvement plan for student success. Please submit requests for data at least 2 weeks in advance. When necessary, the President’s Office will determine the prioritization of requests. For further information for data request e-mail Samantha Kessler @ skessler@peralta.edu. Click here to download a copy of the research request form. Fill out all the necessary items. E-mail the form back to Samantha.